Variance Swaps and Jumps:The Effect of Jumps and Discrete Sampling on Volatility and Variance Swaps This is a corrected version of the paper with Ashish Jain which appeared in International Journal of Theoretical and Applied Finance. 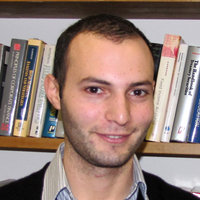 Deniz Cicek is a Ph.D. student in the Decision, Risk, and Operations division of the business school. 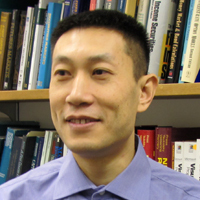 His research is focused on stochastic approximation algorithms. Working papers and MATLAB code can be downloaded from the links above. Attakrit Asvanunt was a Ph.D. student in the Industrial Engineering and Operations Research (IEOR) department. 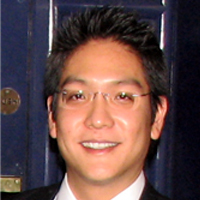 His doctoral dissertation is titled Applications of Dynamic Optimization to Strategic Pricing and Corporate Finance. Ashish Jain was a Ph.D. student in the Decision, Risk, and Operations division of the business school. His doctoral dissertation is titled Essays on Volatility Derivatives and Portfolio Optimization. 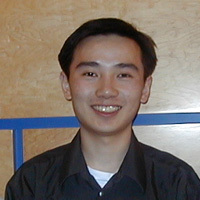 Zhidong Wang was a Ph.D. student in the Decision, Risk, and Operations division of the business school. His doctoral dissertation is titled Optimal Dynamic Allocation Between Taxable and Nontaxable Assets. 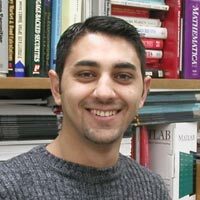 Ozgur Kaya was a Ph.D. student in the Industrial Engineering and Operations Research (IEOR) department. His doctoral dissertation is titled Exact Simulation of Financial Models with Stochastic Volatility and Jumps, and Lattice Methods for Corporate Debt Pricing. Roy Mashal was a Ph.D. student in the Decision, Risk, and Operations division of the business school. His doctoral dissertation is titled Inferring dependencies between financial assets with applications to multi-name credit derivatives. 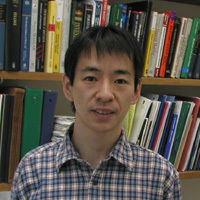 Yusaku Yamamoto was a visiting scholar during 2001-2002 at the business school and the Center for Applied Probability. 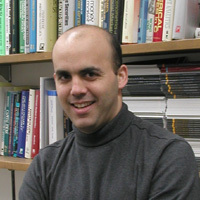 Yusaku is currently an associate professor at Nagoya University. He earned a Bachelor's degree in mathematical engineering and Master's degree in physical engineering, both from Tokyo University. In our paper, Application of the Fast Gauss Transform to Option Pricing, we develop a method for speeding up the computation of Bermudan and American option prices. The method is applied to models with jumps, stochastic volatility, and Broadie and Glasserman's stochastic mesh method. In our paper, A Double-Exponential Fast Gauss Transform Algorithm for Pricing Discrete Path-Dependent Options, we develop very efficient methods for pricing path-dependent options in the Black-Scholes and Merton jump-diffusion models. Menghui (Dsvid) Cao was a Ph.D. student in the Industrial Engineering and Operations Research (IEOR) department. He worked with Professor Steve Kou on the pricing of two-dimensional discrete barrier options and with Mark Broadie on Monte Carlo methods for the pricing of American options. 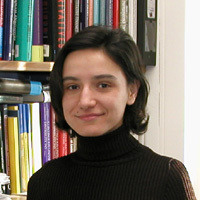 Milena Todorova was a Ph.D. student in the finance and economics division of the business school. Milena earned a Bachelor's in Arts degree from the American University in Bulgaria and an MBA from Mendoza College of Business at the University of Notre Dame. Her doctoral dissertation is titled Essays on modeling derivative claims. One essay, Modeling Energy Commodity Futures: Is Seasonality Part of It?, analyzes the price dynamics of crude oil and natural gas futures prices.